Now I am a girl who loves a long staying lip product. I hate reapplying, and dislike having to worry if I have lipstick all over my face. 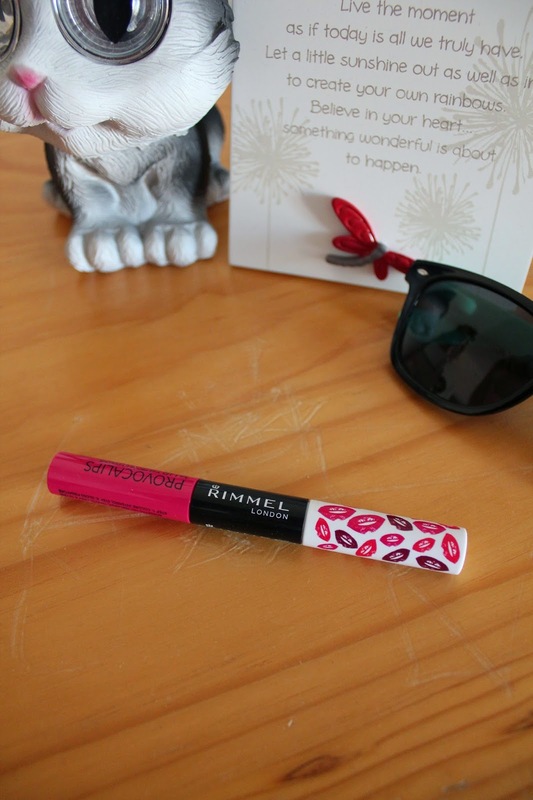 Enter Rimmel Provocalips, the more long lasting cousin to the Apocalips. Firstly, I have to admit I wasn't that big a fan of the Apocalips. For me, the colour didn't last long enough, they tended to bleed, and somehow they always seemed to end up on my teeth. The Provocalips on the other hand, last through eating, drinking, (and yes they even live up to their 'kiss proof' claim). With these ones you apply the colour, let it dry, then apply a clear gloss that locks in the colour and adds shine. I don't really like having to faff around with multiple steps, but the fact that this extra step allows the product to last for hours more, is enough for me to let it slide. I have a few problems though... As a matte lip lover, the glossiness of these (especially with the bright colour -Little Minx - that I chose) was slightly off putting. Also the gloss layer is also quite sticky throughout the day. And as other bloggers have mentioned, these are hard to get off your lips at the end of the day, (but I guess that's what you expect with a supposed 16 hour formula). The shade range of these is quite good, with a few nudes, a few pinks, and a few reds. I'd definitely be interested to try more, because even though there are a few small problems, the lasting power has definitely won me over. Have you tried these? Which shade should I try next?